More than 200 alumni, family and friends of the College of Engineering gathered April 20 to celebrate the accomplishments of the college’s graduates. The Annual Alumni Awards Banquet and Ball brings together alumni from all eight departments within the College of Engineering to recognize alumni who have achieved distinction in their fields since graduating from the University of Arkansas. Established in 1965, the Hall of Fame is the highest honor bestowed by the College of Engineering at the University of Arkansas. The award recognizes prominent graduates and leaders who have made outstanding contributions to the engineering profession and society as a whole. Members of the Hall of Fame have, throughout their careers, made a difference to the engineering profession and demonstrated concern for improving their communities. Their achievements have brought favorable attention to the College of Engineering, the University of Arkansas and the State of Arkansas. William “Bill” Keltner, B.S.I.E. 1959, was inducted this year. Bill was born in Springfield, Missouri, and spent most of his youth in Fort Smith, Arkansas. 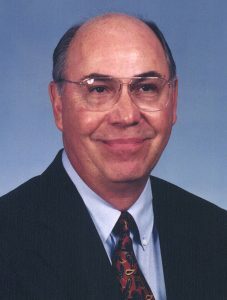 He entered the University of Arkansas in 1955, majoring in Industrial Engineering. During his time at the University, he was active in Sigma Nu and Theta Tau fraternities, and was president of the Arkansas Booster Club. In his sophomore year, he met Patricia “Pattee” Cross. The two began dating shortly thereafter and never looked back. The pair graduated in 1959 and were married a few months later in Bauxite, Arkansas, the beginning of a 52-year marriage that lasted until Bill’s death in 2011. Shortly after graduating, Keltner took a job with Southwestern Bell in Little Rock. He would spend his entire career at Southwestern Bell in various positions. He took time out from his career to serve as a Field Artillery Officer in the U.S. Army, and ultimately retired from Southwestern Bell as a General Manager. While industrial engineers are trained to focus on improving systems and processes, Keltner always loved the people-facing side of his job most. During his time at Southwestern Bell, he formed many lasting friendships and served as a mentor to many colleagues throughout his career. Keltner also found time to give back to the University of Arkansas, serving as president of the Arkansas Academy of Industrial Engineering and on the College of Engineering Dean’s Advisory Council. He would later be chosen for the University of Arkansas Hall of Fame and was named a Distinguished Alumni of the College of Engineering. A longtime community volunteer, Keltner served on numerous boards as both chairman and president of many, and he was appointed by Gov. Mike Beebe to serve on the Governor’s Commission on People with Disabilities. He was later selected by the Governor’s Council on Volunteerism as one of the state’s outstanding community leaders. Keltner passed away in 2011, and his wife Patricia passed away in 2012. They are survived by their three children, Ann Slack, Bob Keltner and Julie Hughes. Representing Mr. Keltner at the event was son Bob Keltner and his wife, Amy, daughters Julie Hughes and Ann Slack, and their husbands Mike and Clay, respectively. As a token of appreciation for the honor bestowed on his late father, Bob donated a beloved golden kazoo to the College. During Bill’s tenure as president of the Arkansas Academy of Industrial Engineering, he was famous for organizing and leading an impromptu “Kazoo Band” at the annual meetings. The College of Engineering Distinguished Alumni Award honors the exceptional professional and personal achievements of the University of Arkansas College of Engineering graduates. Recipients have achieved distinction in their fields and have provided outstanding leadership and service to the College of Engineering, and to the organizations and communities to which these distinguished alumni belong. Receiving recognition from the Master of Science in Operations Management program was Robert Arvin, M.S.O.M. 2012, Divisional Vice President – Supply Chain with Walmart, Inc. Bob’s career has been dynamic, with 35 years of Fortune 100 experience leading large multi‐disciplinary teams in forward and reverse logistics, project management, engineering, transportation, internet fulfillment and distribution center operations. In his role at Walmart, Arvin is responsible for two national supply chain divisions. The first is the Apparel Network that provides replenishment of apparel, shoes and jewelry to all Wal‐Mart Stores & Sam’s Clubs in the United States, including fulfillment of online apparel sales for Walmart.com. The second is the Reverse Logistics Network, which includes national return and secondary market programs for Walmart stores, Walmart.com, Sam’s Clubs and sams.com. His current assignment is development and execution of the reverse logistics strategy for returned goods and distressed inventory from both physical locations and online sales. Arvin serves on the Dean’s Advisory Council for Northeast Oklahoma State University, giving his time and talents to promote operations management principles in academe. In Northwest Arkansas, he has served as chairman of the board of directors for the Scott Family Amazeum in Bentonville since its inception in 2013, and now supports the Artists Series there, connecting arts entrepreneurs with teenagers. 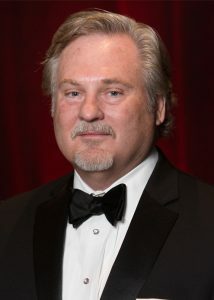 He also serves as board member of The Northwest Arkansas Jazz Society, a non‐profit dedicated to preserving, presenting and promoting jazz in all of its forms. He is also a former board member of the I’ll Fly Away Foundation, an organization dedicated to getting children involved in music. The industrial engineering recipient was, Rita Gail Willcoxon, B.S.I.E. 1982, Global Engineering Leader for Intelligent Control Systems (retired), General Electric. Rita has had a remarkable career, starting with the Department of Defense, then extending to the National Aeronautics and Space Administration (NASA) and concluding at one of the largest and most influential business firms in the world, General Electric. In all of the organizations she represented, Willcoxon excelled, being promoted to positions of higher complexity and tremendous responsibility. At NASA, Willcoxon won multiple awards, and concluded her career by leading the Space Shuttle team at the Kennedy Space Center to complete the final 21 missions of the shuttle program. She was able to complete the program successfully, while also adding an extra flight with the money saved from her budget. In 2011, she received the NASA Distinguished Service Medal for leading the Kennedy Space Center through the successful completion of the Space Shuttle Program. After her service at NASA, Willcoxon served three years as Global Engineering Leader for the Intelligent Control Systems at General Electric. After retiring in 2015, Willcoxon is giving back to the community. 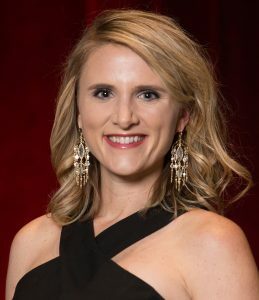 She is very engaged at the University of Arkansas as a member of the Arkansas Academy of Industrial Engineering, and is also the founder of the Launch STEM Careers program in Brevard County, Florida, which works to inspire girls to pursue careers in science, technology, engineering and math. Presently, there are more than 170 girls enrolled. Willcoxon is married to Jim Willcoxon, former principal of Melbourne High School. She has a daughter, Erica, and a son, Grant. The Early Career Alumni Award is presented to College of Engineering graduates who are achieving distinction in their fields and show significant promise for professional leadership in state, national and international activities. These individuals have served in their industries for 15 years or less. Recognized from the Department of Industrial Engineering was, Jenni Kimpel, B.S.I.E. 2006, Director of Engineering and Technology, J.B. Hunt Transport Services Inc.
Jenni has worked hard since graduation to progress her career and improve her community. 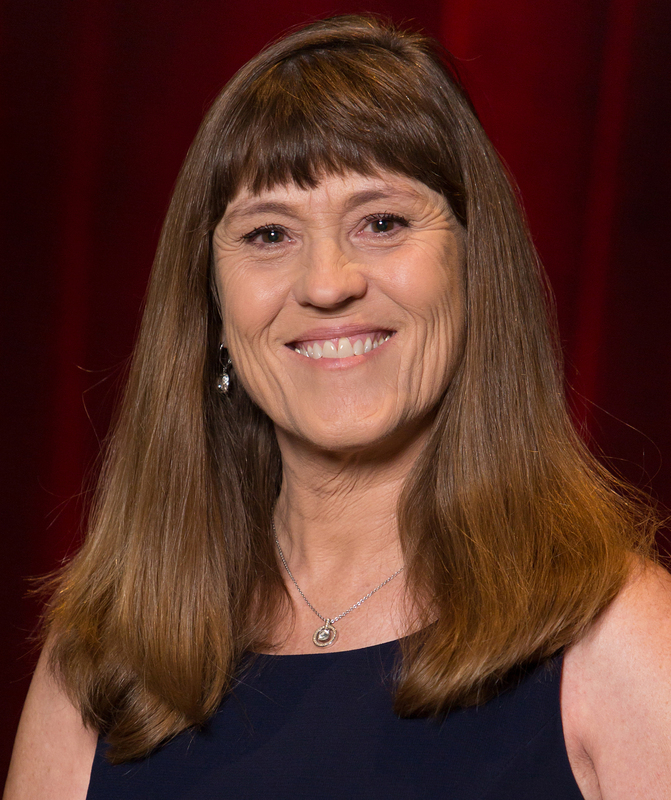 Applying her process improvement skills in many facets of the organization has allowed her to move up and to be recognized as an executive leader in engineering and technology at the Fortune 500 company. As a leader at J.B. Hunt, Kimpel is responsible for developing a strategic vision that will help grow the company’s last mile services and is part of a larger team that is positioning J.B. Hunt as a technology company. In addition to a demanding career, Kimpel serves her community by volunteering in several capacities with the Cystic Fibrosis Foundation, among other organizations. A well-rounded multi-tasker, Kimpel was able to complete her M.B.A degree from John Brown University while working full time. The full Newswire story can be found here.